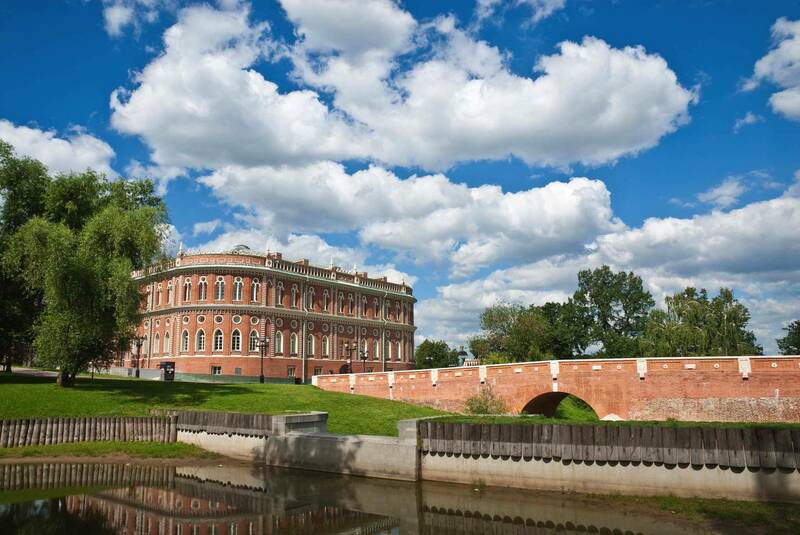 Tsaritsino museum and reserve in Moscow (near Tsaritsino metro station and commuter suburb train station) was founded in 1984 in the park of the same name. The estate is known from the late 16th century, when it belonged to Tsarina Irina, sister of Tsar Boris Godunov. At that time it was called Bogorodskoye. 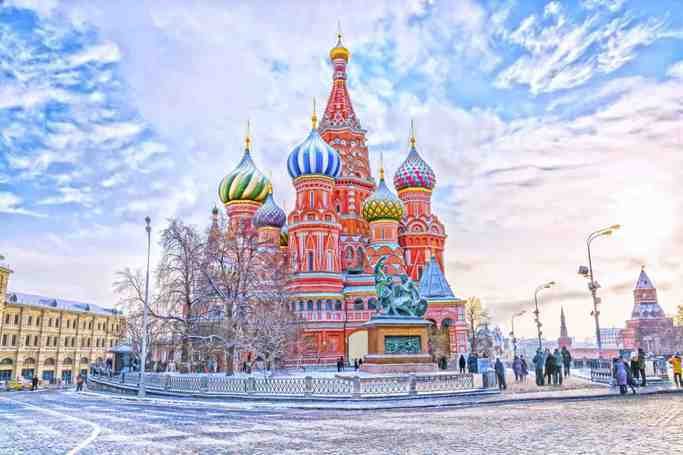 In the 17th century it belonged to the Streshnevs and then to the Galitzines. In 1775, when the estate was bought by empress Catherine the Great, it received its present name, which means “Tsarina’s”. In 1776-85 architect Vasili Bazhenov built a new palace for the Empress here, but in 1786 Catherine ordered it to be partly pulled down. Until 1797 architect Matvey Kazakov was working on the construction, but the palace remained unfinished. Currently, in Tsaritsino there are a history and architecture museum, a landscape park with an adjacent forest, an art museum, the Biryulyovo dendropark, and a cascade of the Tsaritsino ponds. The 18th-century architecture ensemble was built (though not finished) following the order of Catherine II in pseudo-Gothic style, after projects of the Bazhenov and Kazakov, and it is the only 18th-century architectural ensemble of such dimensions in Russia. 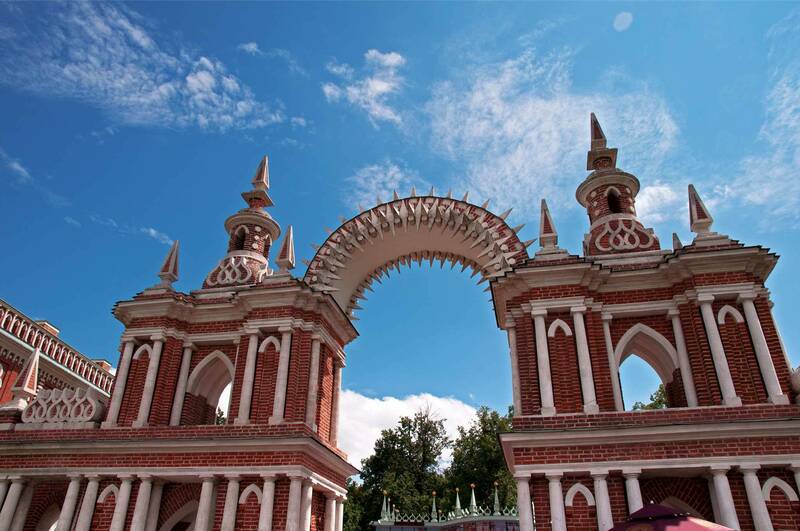 Around the palace, in the park there are a number of pavilions, pergolas, arbours, artificial grottos, decorative bridges (early 19th century, architect I. Yegotov), and a Russian Orthodox temple “Source of Life”, as well as a modern recreation center with an upscale restaurant. For a long time most buildings were ruined (and alpinists used them for training). Recently most buildings have been "completed": rooftops, interiors and decorations have been added and their historical appearance has been altered. A number of buildings house the Russian museum of folk and applied art. The atrium of the “Bread House” is used for concerts of Moscow musicians. The park grounds contain the group of burial mounds that belong to the Early Slavs tribe Vyatichs dated by XI-XIII centuries. Tsaritsino Park | eTips Inc.